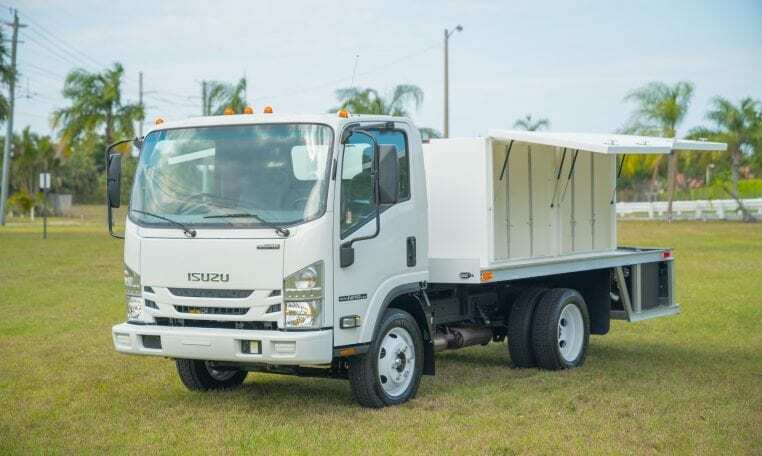 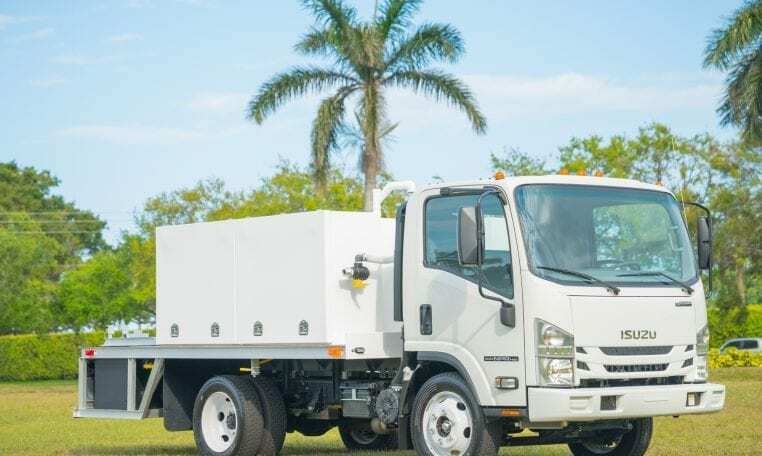 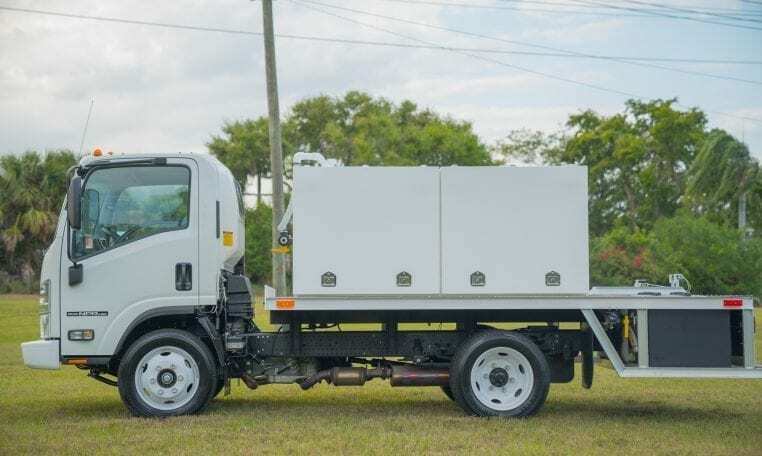 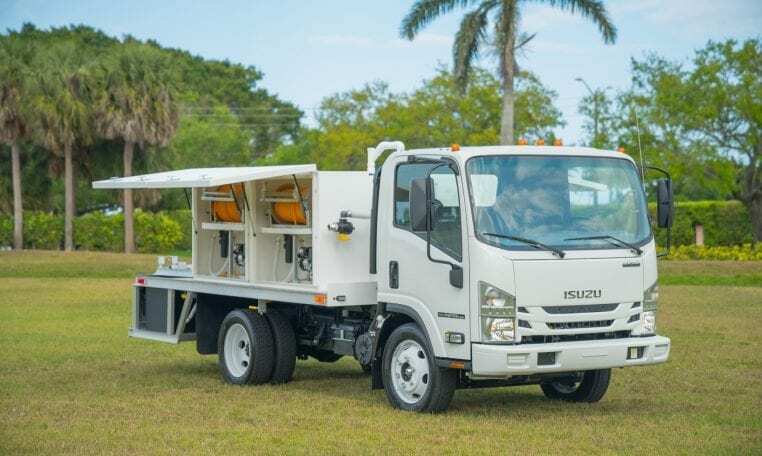 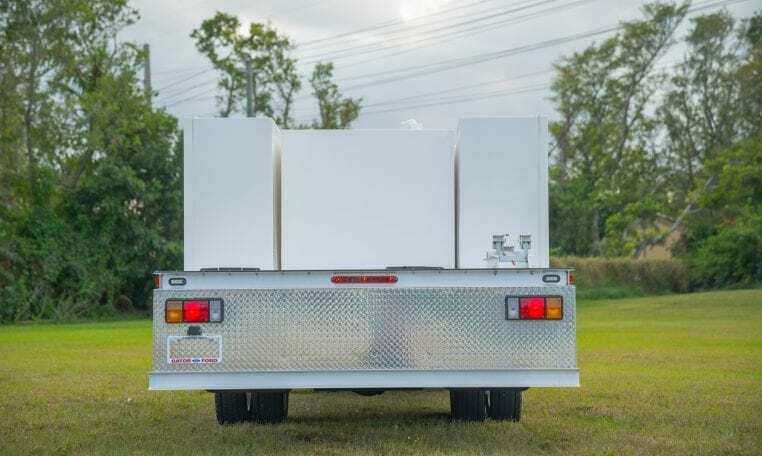 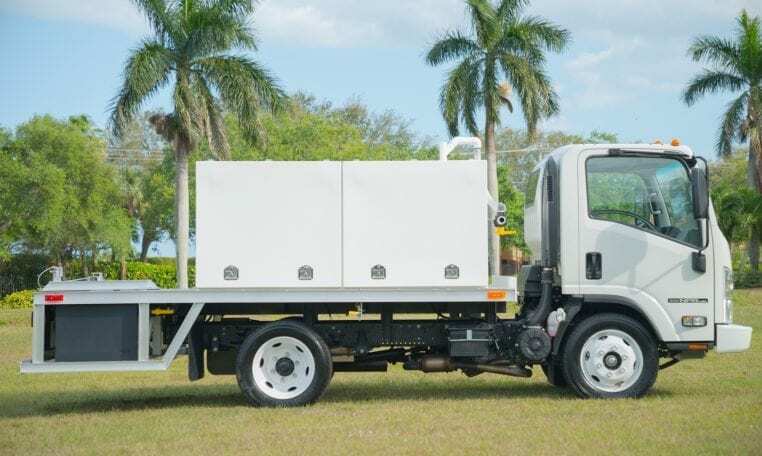 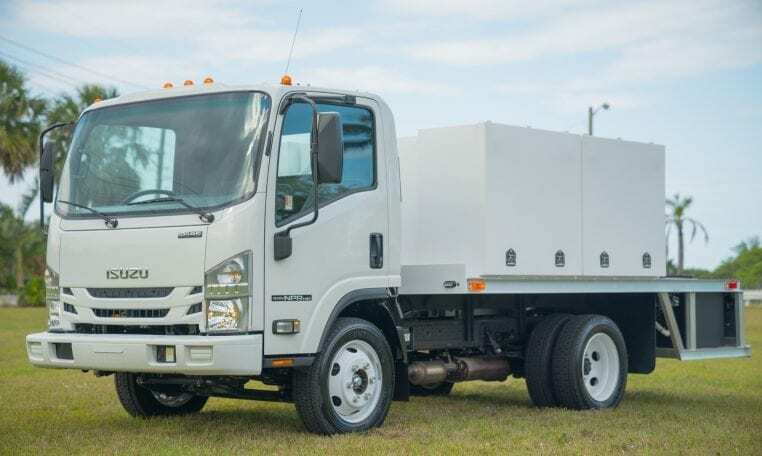 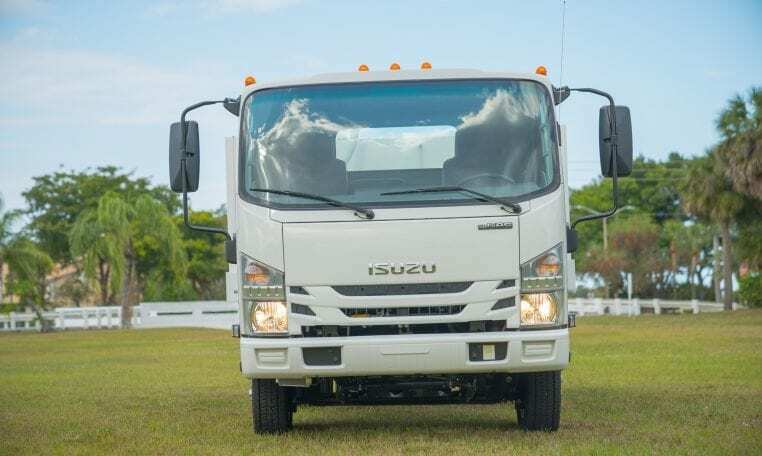 This is a new 2019 Isuzu NPR-HD with a lawn and tree spray body. 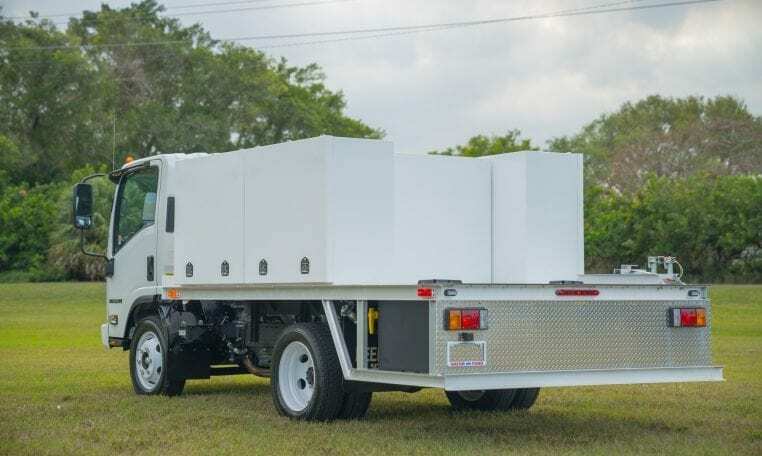 Its GVW is 14,500 pounds and has a turbocharged 4-cylinder diesel or V-8 Gas engine with standard 297 horsepower and 372lb-ft of torque. 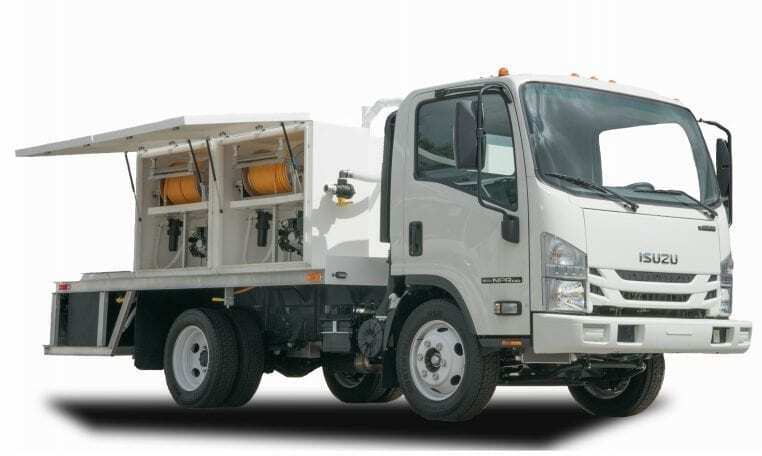 Also a 6 speed automatic transmission that is very reliable. 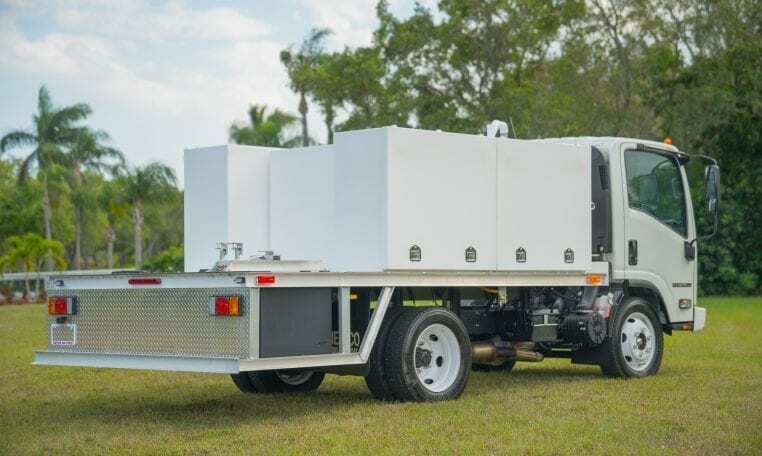 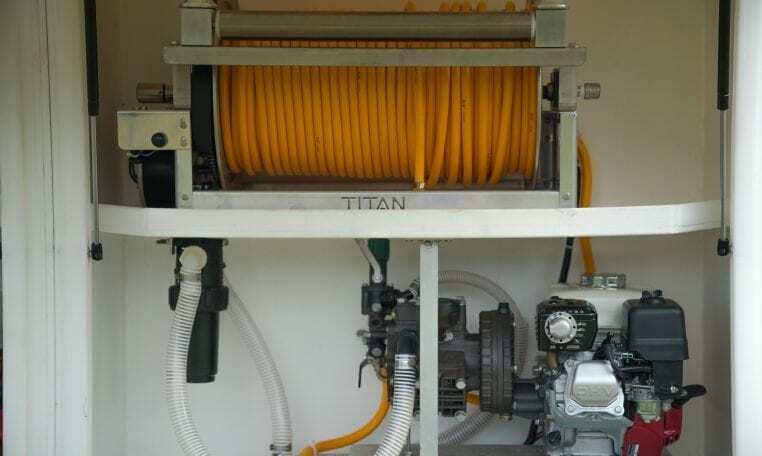 This spray body from Neelco is your standard system good for both grass and getting up high into trees.